The Marble Dining Table is a stunning and sumptuous addition to any interior. As practical and versatile as it is visually inspirational, this piece is a contemporary classic, and a bold feature piece for your space. 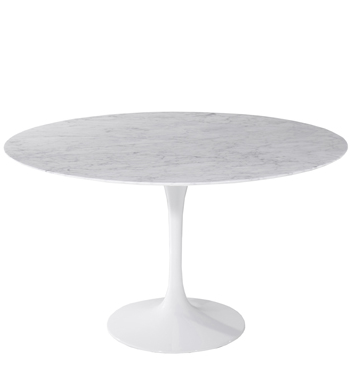 Topped with natural white marble and supported by a powder coated aluminium base, the table is both sturdy and sleek.